Showing results by narrator "Mona Lisa Schulz MD"
By: Mona Lisa Schulz MD, Louise Hay Ph.D. 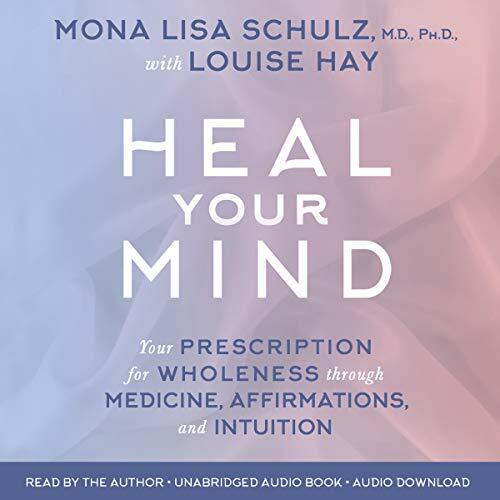 Heal Your Mind continues the three-pronged healing approach that Dr. Mona Lisa Schulz and Louise Hay pioneered together, extending it to conditions, processes, and disorders of the mind including memory, learning disability, addiction, anxiety, and depression. In-depth case studies from the All Is Well Clinic delve into interventions with real patients, where Dr. Mona Lisa uses intuition to pinpoint issues, and she and Louise discuss the medical solutions and affirmations that can help restore well-being.